I have been scrambling for different ways to eat greens and/or sneak greens into meals outside of the regular salad. Don’t get me wrong — I love a good salad. I get lots of compliments on the big pretty salads that I pack in my work lunchbox. Those pretty little radishes this week were quite tasty. However, I had no idea what to do with the kohlrabi greens. But, I knew just based on the fact that the veggie box had a HUGE stalk of greens on the kohlrabi last week that those dazzling emerald leafs were meant to eaten. Turns out you can do lots of things with greens! 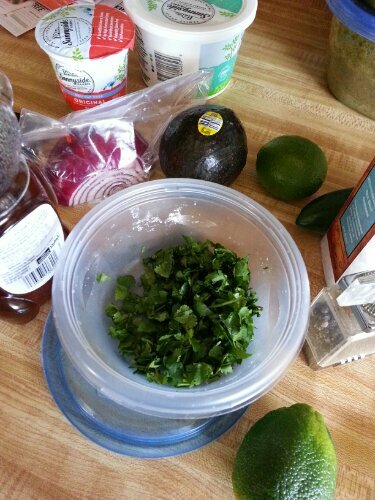 Check this: Recipes for Greens. The possibilities are endless! I chose to add the kohlrabi to a chicken teriyaki stir fry. The hubby and the boy didn’t fully complain. 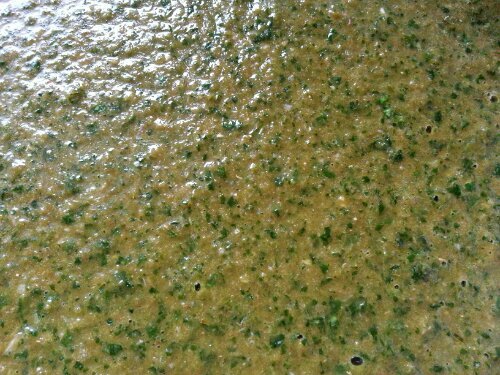 I also stuck in some turnips and green garlic on this one. 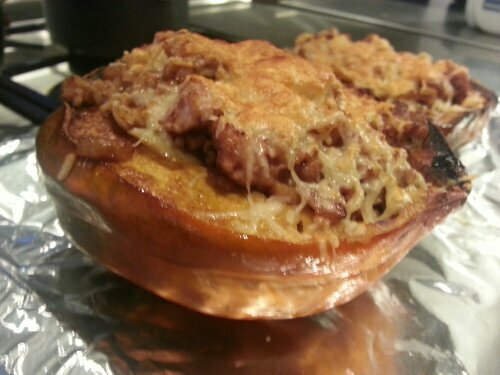 The turnips were a little mushy but not bad. I chopped up a whole bag of kale into the spring greens mix and just disguised it as salad. My husband didn’t mention noticing it so that’s a win. Another bag of kale went into my version of the Olive Garden’s zuppa tuscano. Yum. My son actually loved this. LOVED IT. Can’t go wrong with Olive Garden soup and bread sticks. Nom nom. What new foods did you try this week? 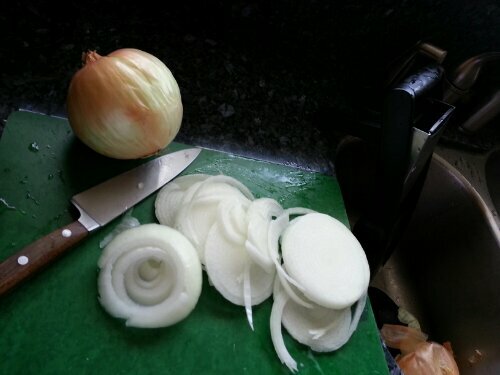 My house was overrun by onions and it was time to do something. Something radical, like make an entire meal out of basically just onions. 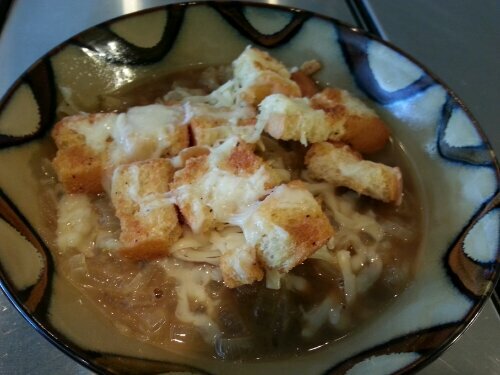 French onion soup time! I adapted a recipe from Rachel Ray to get the job done. Why? Because she speaks the language of simple and savory–that’s my style. Heat a heavy soup pot over medium heat while thinly slicing the onions. Add the butter to the pot and melt. Add the onions, garlic, bay leaves, thyme, salt and pepper and gently caramelize, stirring frequently, for 30 minutes. 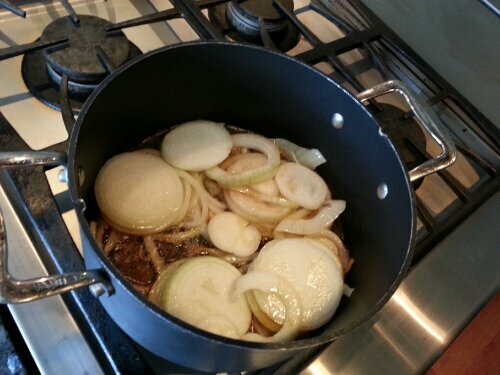 If the onions begin to brown too quickly at the edges before they caramelize, turn the heat down a bit. Deglaze the pan with the wine, then let reduce for 1 minute while stirring. Add the stock and the Worcestershire sauce and simmer for 15 minutes more. Meanwhile, place an oven rack in middle of the oven and heat the oven to 250˚F. Place a cooling rack over a baking sheet and arrange the bread slices on it. Toast the bread for 15 minutes. Switch the broiler on. 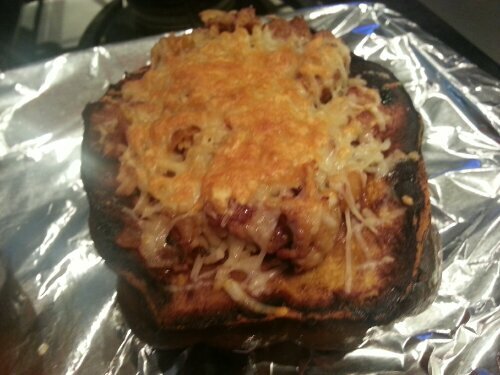 Top the bread with lots of mounded cheese and broil for 2-3 minutes to melt the cheese. Ladle the soup into shallow bowls and stir in a tablespoon of sherry per bowl, if desired. Set four cheesy croutons into each bowl and serve. Here’s how it went down at my house. I used a mandolin for all of the onions. It is an awesome tool–just make sure you don’t cut a finger off, that blade is sharp! I ended up filling this pot with onions and letting them cook down. It took forever. This is not a 30-minute meal. 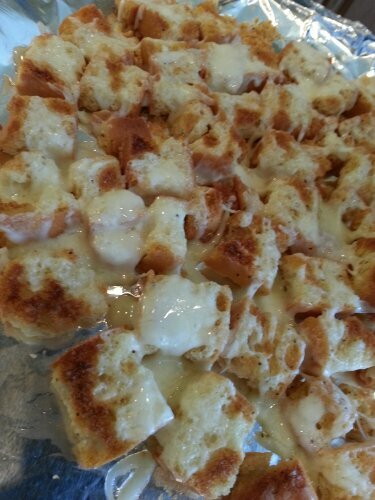 And, because I love a good short cut (and I didn’t have a french baguette at the time), I took a full bag of croutons and broiled some cheese on top. Easy-peasy. The crouton idea was perfect. They added a little extra salt and seasoning to the mix and then soaked up the broth nicely. 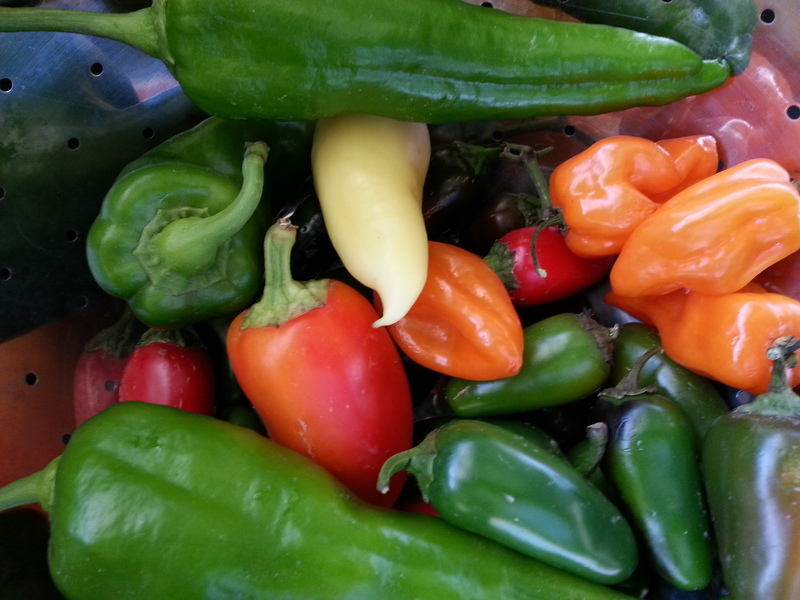 I have been stockpiling my CSA share of hot peppers lately just waiting to make a batch of hot sauce. All sorts of peppers: jalapenos, serranos, fresno, romanian … and I even bought a couple of extra habaneros to throw into the mix. My pepper farming efforts this year completely failed so I knew that I wouldn’t have a full batch of the same peppers just from the CSA box. I figured I could come up with something good, though. And, I did. I started with a little Google searching and, one of my favorite resources, Punk Domestics. I love that site but, fair warning, it’s a little food snobby (in a good way). 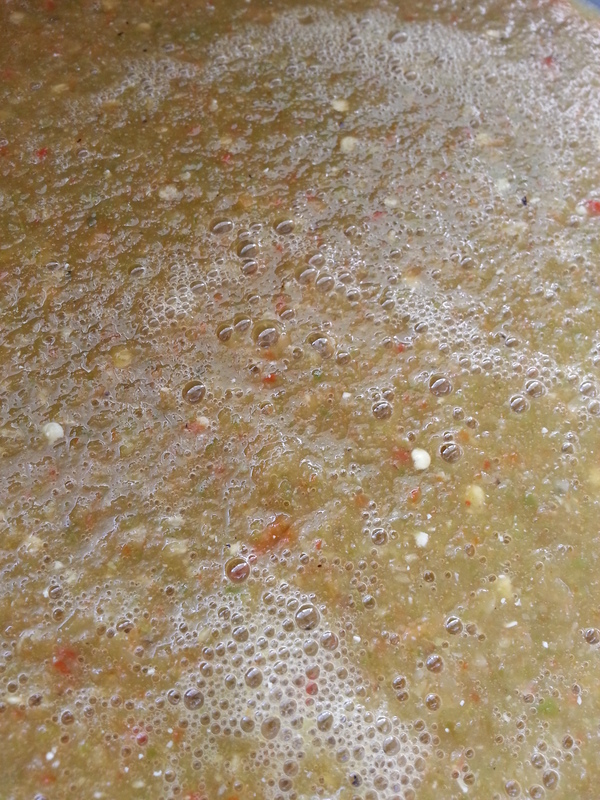 Then, I compared notes with a couple of other sites and discovered that fermenting the peppers is a good base to add for a nice hot sauce. There are tons of options on how you could go for a sriracha or a more Tabasco-style and even a sweet hot. If you are interested in making your own sriracha, try Peppermeister’s recipe … look around on that site for a while, there are some other good recipes to try as well. I decided that a briney-fermented, stanky sauce with some pow-pow HOT is just what I wanted. 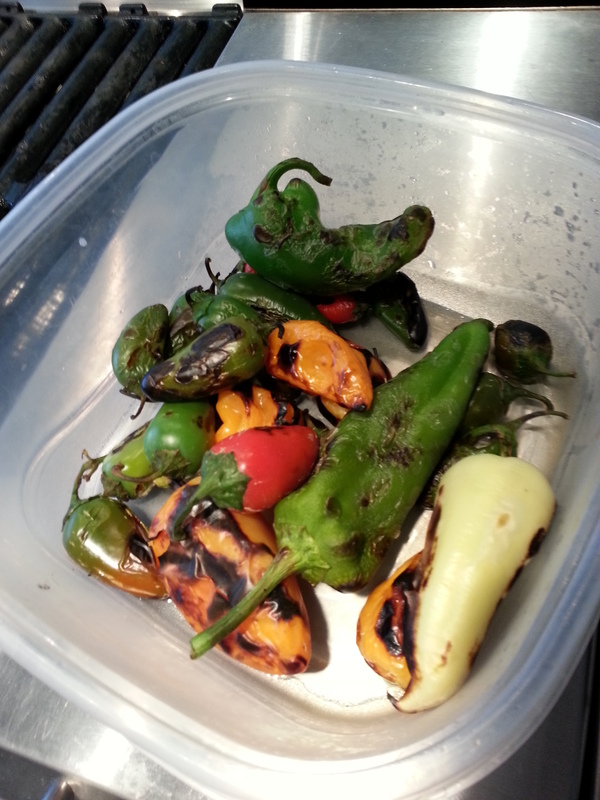 Then, I had to char the skins on my fresh peppers and cook them up a little bit. 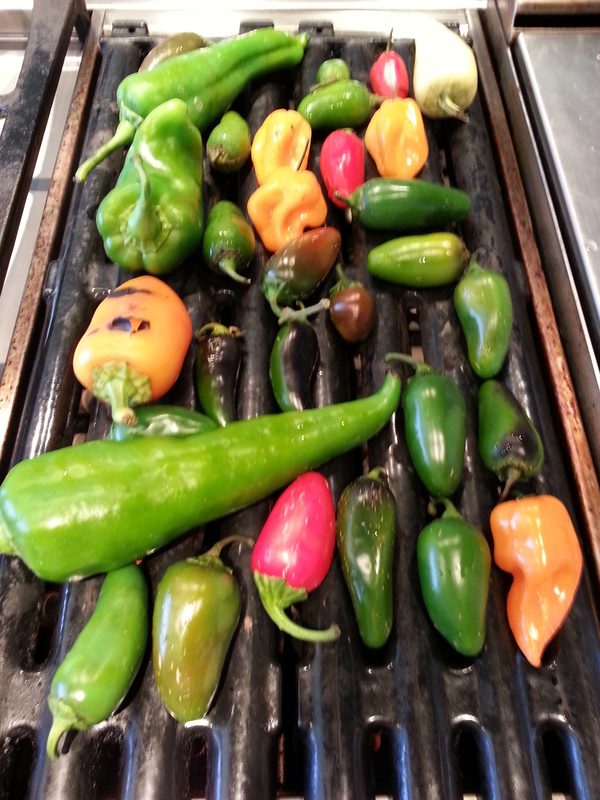 The trick to this is to get a good little burn going on the peppers but not completely kill them. Maybe, 70-80% char and, then, you put them in a sealed container so that they steam out nicely. After that, the skins just peel off (for the most part). I trimmed the stems off but kept all the seeds and innards and juicy goodness for the mix. I did actually use the gloves. And, I’m glad. I have a feeling that I would have killed my hands and probably stuck my finger in my eye, resulting in death for most of the afternoon. I am happy to report that I avoided disaster here and only had a few coughing fits due to pepper capsaicin inhalation. Hot stuff, for real. This is my favorite. Icky. It’s named after the ichthyosaur, or state fossil of Nevada. It’s about 7% ABV and hoppy all day long. 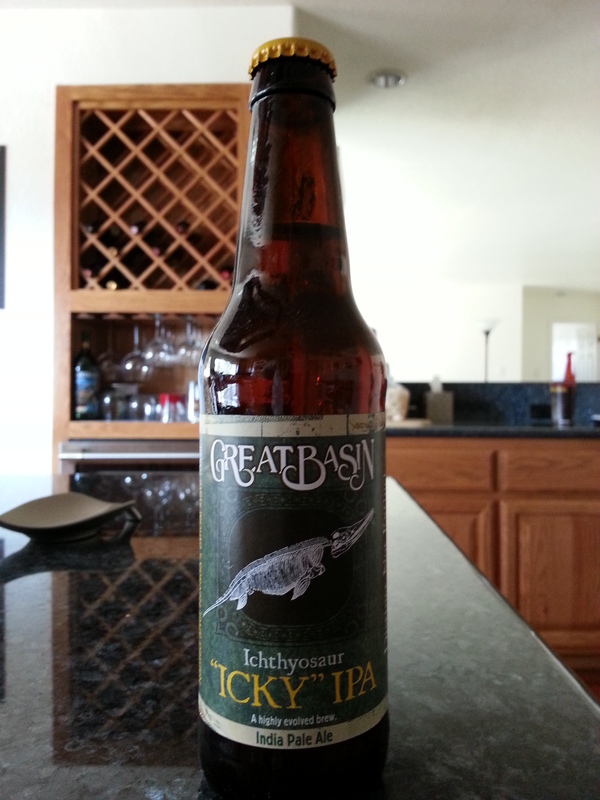 It’s a local brew, Great Basin Brewing Company. And, it’s good. Get some, if you can. I’m pretty proud of this one. But, it’s only for the truly brave. It is a hot and powerful stanky sauce. Not for dipping chips into or anything like that. Maybe, it could blow the tortilla off a good fish taco or get added to some manly chili beans … it might kick some canned peaches to curb as well. This is the real deal. 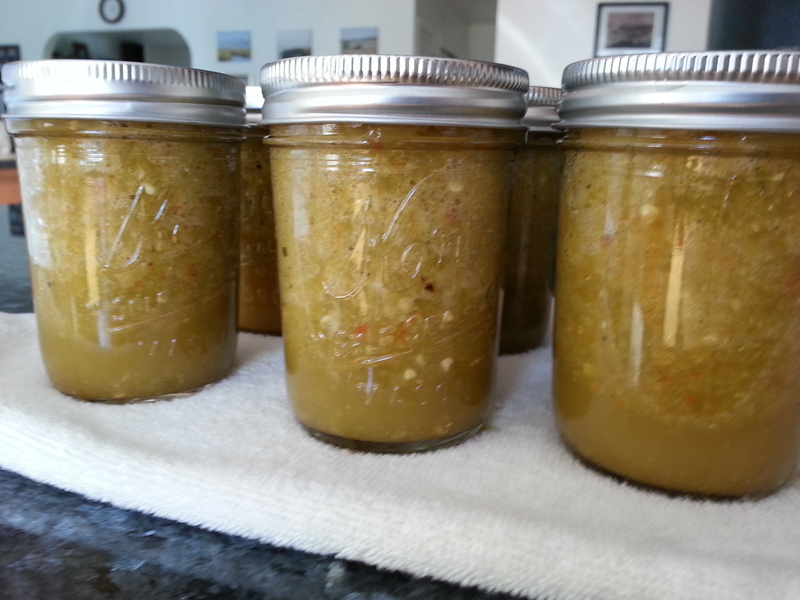 Six beautiful little jars of screaming hot, stanky goodness. I think Santa will keep these for his special elves. Why, yes. This is a Pinterest inspired post. (Pin-spired??) I’d like to think that I was having a brilliant moment last week when I was roasting garlic in the muffin tins and thought “meatloaf!” that I was a culinary genius. Nope. I have seen this trick on Pinterest. I did add my own flair of BACON. Again, I’m pretty sure I saw that posted online somewhere, too. To give myself some credit, I didn’t really have any instructions and kind of made it up as I went along … that counts for something, right?? 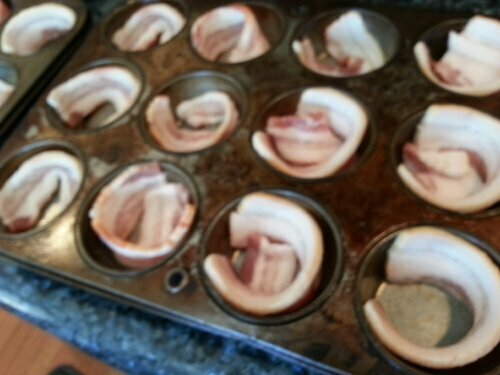 Did you know that a half of a slice of bacon fits almost perfectly into the bottom of a muffin tin? Coincidence? I think not. Basically, make meatloaf and scoop it into the muffin tin on top of the bacon. For me, I did the total easy recipe of a pound of ground beef, some bread crumbs and whatever spices float your boat, and a can of corn. I baked it all at 350 for about 45 minutes. Boom. My husband likes a tomato sauce/cream of mushroom soup gravy for meatloaf and I obliged. Yum. 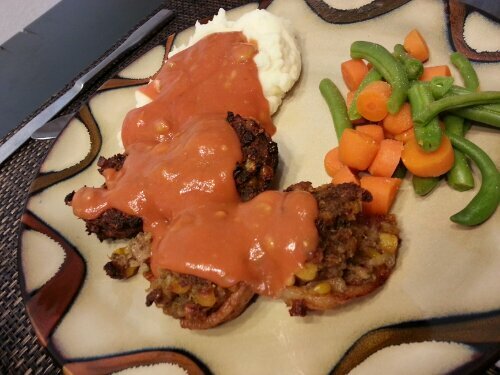 The bacon crisps up nicely and makes for perfect little meatloaf cupcakes of goodness. You will not regret trying this food experiment. Easy and tasty. One of the easiest things on earth to do is roast garlic. If you are a big fan of its savory flavor, do yourself a favor and buy a ton of garlic to roast at home. It will make your house smell fantastic and, the next time you cook with it, you will feel like you invented food. Good stuff. I tried a new trick this time and put the cloves in a muffin pan in the oven. It was easy to clean and kept the oil from going all over the place. 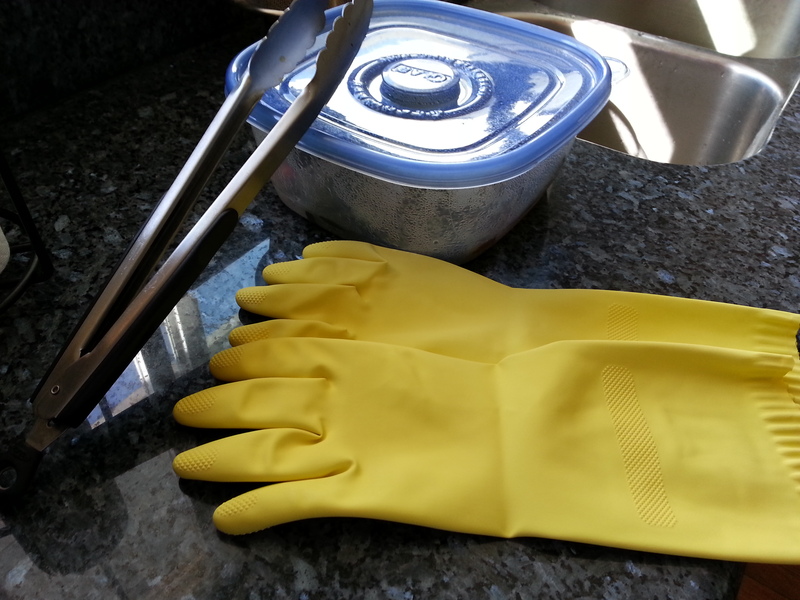 Nice time saver-easy to clean. I love garlic braids! This one is staying intact for now. I had a lot of extra garlic. Just add some olive oil and put it in the oven at 400 degrees for an hour or so (until the cloves are soft). Then, save it in the fridge until you want to use it. Or, cover a french baguette of bread with it and enjoy! 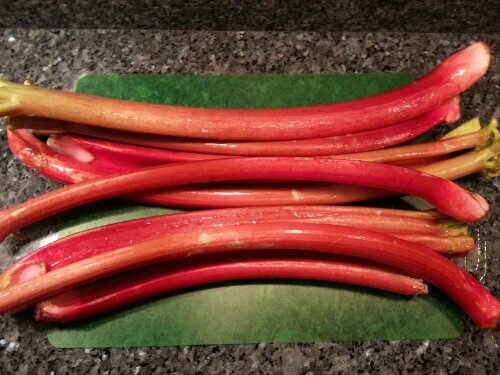 Rhubarb is a strange fruit/vegetable thing. Technically, it is a vegetable but it cooks out with a sweetness that pairs it well for jellies, jams and mostly notably PIE. I opted out of the traditional preparations this time and tried a food experiment. 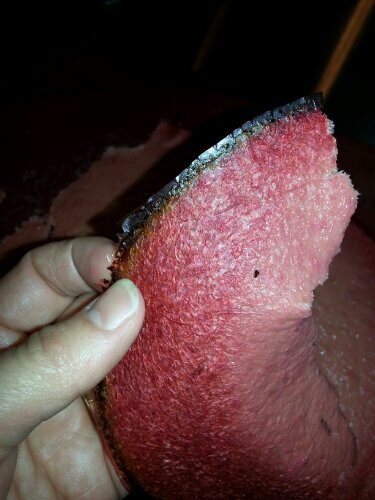 Today, I tried to make rhubarb fruit roll-ups or fruit leather. Tried is the key word of the day. I tried. I think rhubarb is kind of pretty, don’t you? The plants grow to a decent size. They are actually fairly impressive if you get to see one in real life. 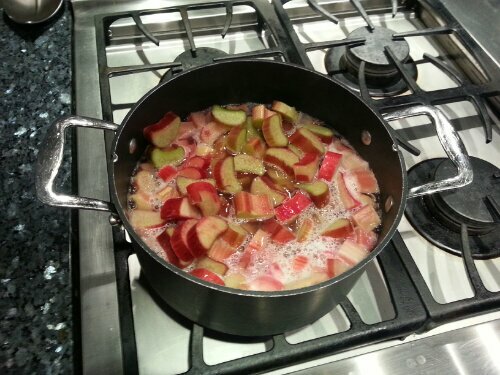 I started by chopping up the rhubarb and just boiling it down to a mushy syrupy mess. At this point, most people add sugar. I decided to be “healthy” and try it without the added sugar. Mistake #1. If you attempt this, add sugar. Just do it. I saved the liquid from this boiled down mess. It has most of the natural sugars and I am going to use it for a fruit salad dressing later. Stay tuned for another post … a hopefully, more successful execution of edible food. 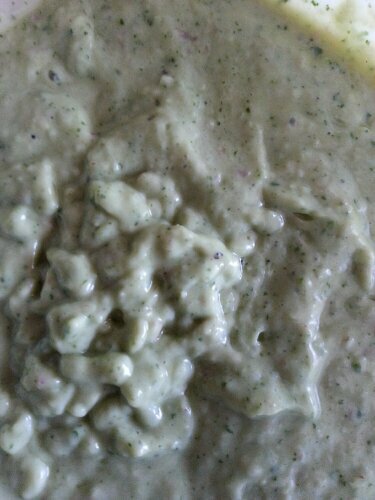 The mush was a little bit stringy (like celery) so I used the hand blender to make it smoother. 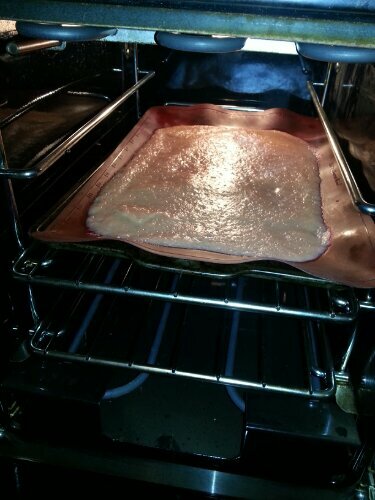 My research on fruit leather suggested that I use a silicone mat to cook the goo on in the over. This is a wise choice. One of my only wise choices in this food experiment. 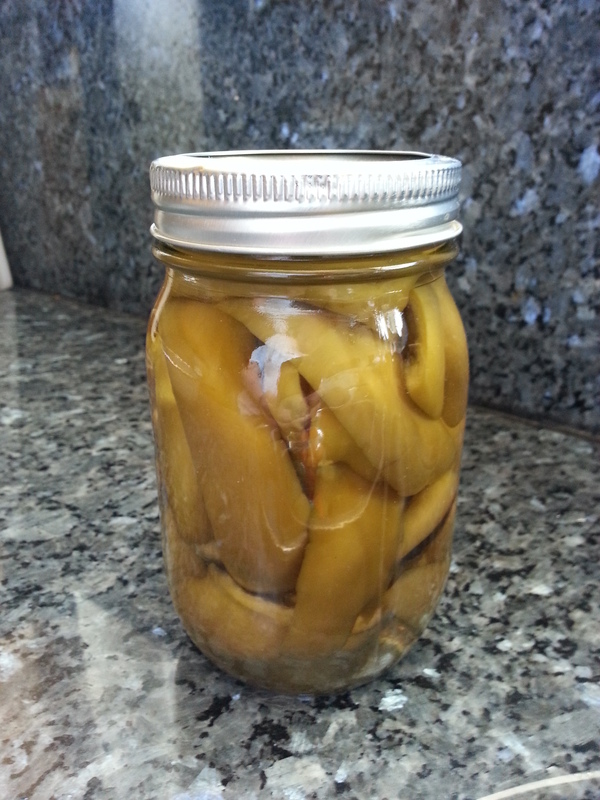 I baked the first batch of fruit goo overnight as low as the oven would go, as suggested by several recipes. Here’s a shot of the crispy concoction I discovered in the morning. Fail. Crispy, crunchy, burnt fail. Lucky for you (or not), I had more fruit goo to try, try again. The next batch was cooked on super low for only a few hours. More like, four hours. 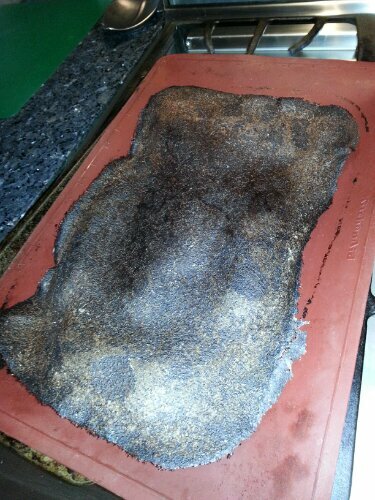 It dried nicely and came out in traditional fruit leather style. Or, hang in there, I plan on a fruit salad later this week … that sounds good. Do you like rhurbarb? Want to share a FAIL? 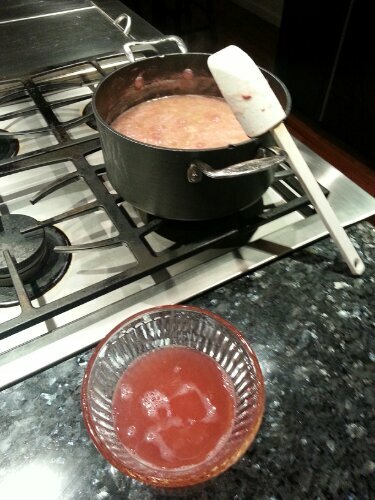 Please leave a comment and make me feel better about ruining an entire batch of rhubarb. For most people, artichokes are a labor of love. There is a lot of work that goes into eating one and, for me, I have no idea how to tell ahead of time whether or not it is going to be worth all of the work. 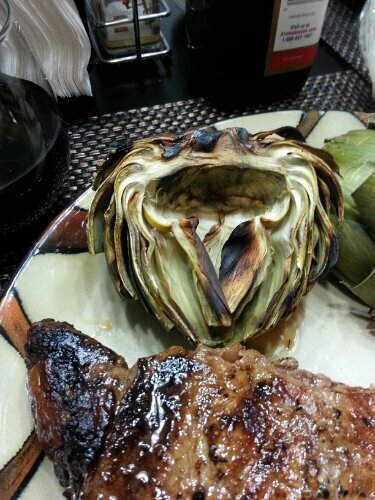 I mean, really, all I want is the heart and how do you know from the outside if an artichoke has a big, tasty heart in there? 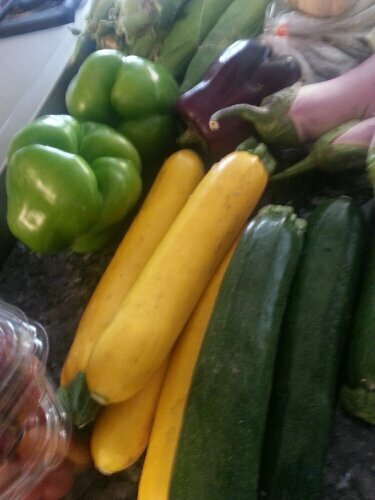 I could get all philosophical here but, let’s just cook some veggies and move on with it, OK? First things first, clean and clip your tasty friend. I boiled the artichokes for about 20 minutes to soften them up a bit. 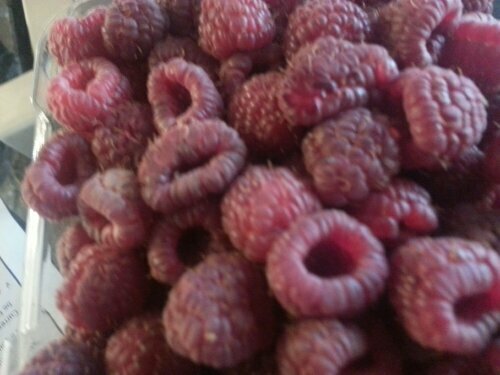 You will need to cut them in half and remove the fuzzy “choke” (the purple-ish hairs that are inedible) from the center. Then, just put them on the grill until they have a nice char, whatever you feel like. I prefer mine with steak. Don’t be fooled by the veggie facade, I am a carnivore at heart. These artichokes looked good and were a fun sport but they didn’t have much heart. I peeled and dipped each leafy layer. At the end, though, I was glad there was steak. 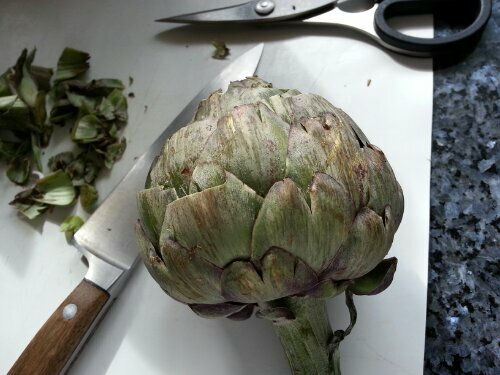 I like to buy marinated artichoke hearts for salads and other meals but I have yet to figure out a better way to pick a fresh artichoke. Any tips or suggestions? 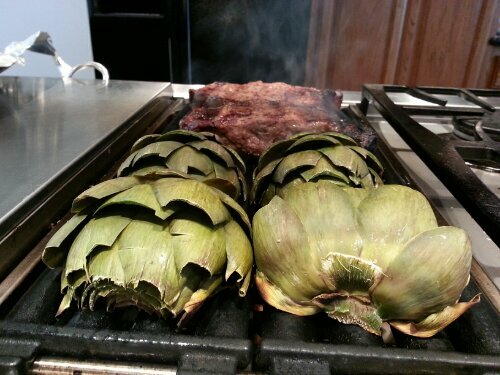 What’s your favorite way to prepare an artichoke? I have been wanting to try a recipe that I saw on another blog for a very long time. 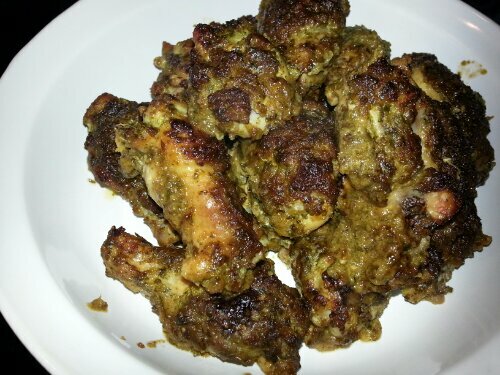 A special chicken wing recipe that, in my opinion, deserved a special day. 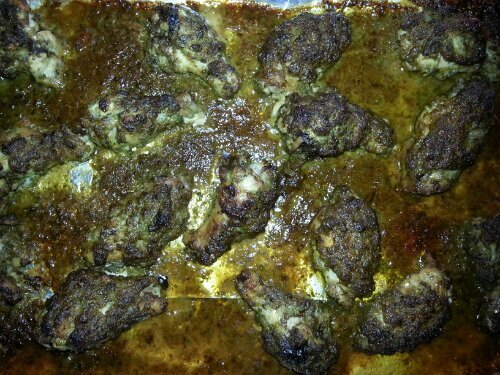 I gave those chicken wings: Super Bowl Sunday, the true religious holiday of all chicken wings. 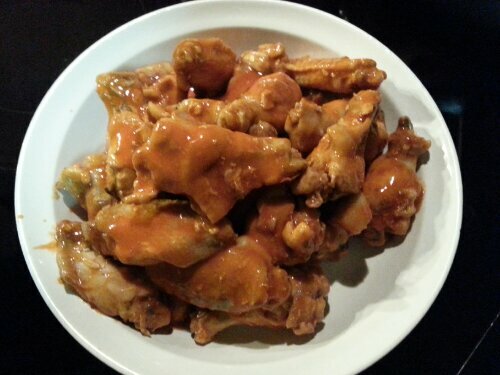 Here’s to Peppermeister’s Sweet and Spicy Asian Wings with Crema de Peppermeister! 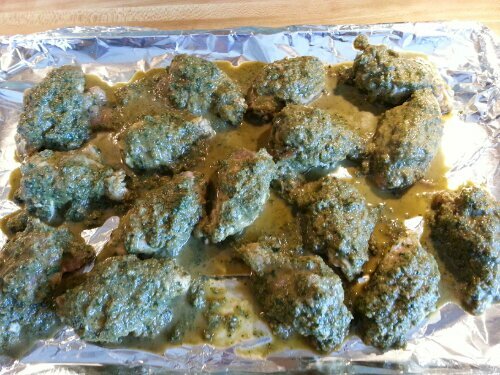 The sauce for these wings was a little bit tedious to make (chop, chop, blend, blend) and VERY GREEN. It made for a cool macro photo, though. I do have to say that it looked pretty gross. But, the smell of the spices and peppers was fantastic even when it was all still raw. The house smelled incredible while these were cooking in the oven. INCREDIBLE. I am so glad that I lined the pan with foil before baking these bad boys. What a mess! 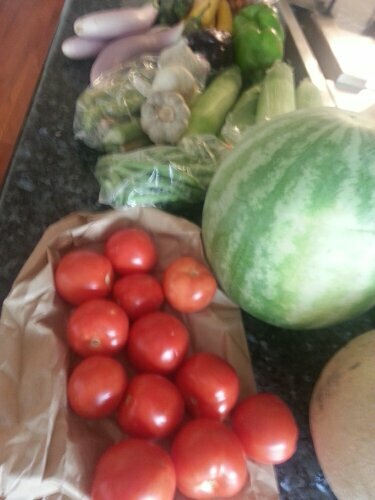 These are the fixin’s for the Crema de Peppermeister. I actually doubled the recipe because I wanted extra for salad dressings or something else later in the week. Yum. The Peppermeister wings were awesome and a great food experiment for me. I’m glad I made them. But, I do have to admit that they did not steal my heart away from my one true chicken wing love. I’m still loyal to the traditional, buffalo-hot style. And, I have the heart burn to prove it.